Some of these quotes were translated directly from Swedish by the creator of this site. Enjoy! A night like this, one feels the life in oneself. The one that is very strong should also be very nice. Don't let them get you down. Be cheeky. And wild. And wonderful. Anything great that ever happened in the world, first happened in their imagination. If I have managed to brighten up even one gloomy childhood—then I’m satisfied. 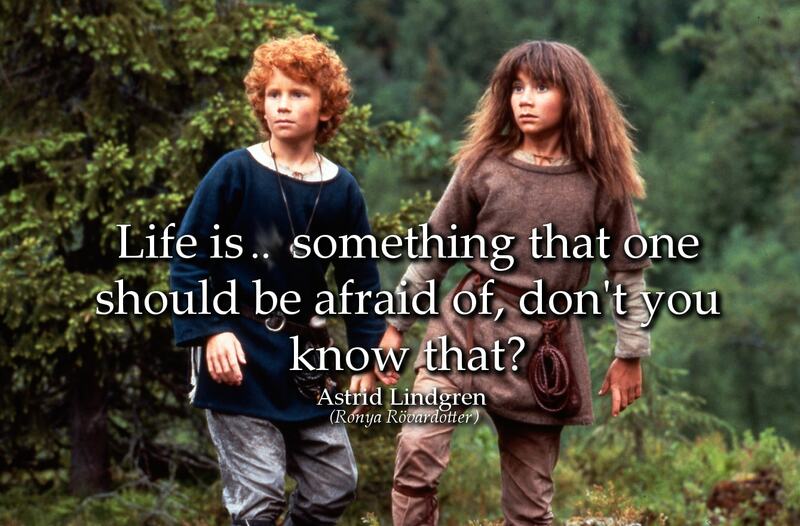 Life is something that one should be afraid of, don't you know that? I don’t mind dying, I’ll gladly do that, but not right now, I need to clean the house first. Two things that we had that made our childhood to what it was, security and freedom. I do not have a message. However I'd very much like to spread a general tolerance for human insanity. And so I write the way I myself would like the book to be — if I were a child. I write for the child within me. We played and we played and kept on playing, its such a strange thing that we didn't play ourselves to death. That which I would like to do most of all is to sit down like an animal in solitude in the forest. I have never tried that before, so I think I should definitely be able to do that. 'Man, yes,' said Pippi, 'but I am the strongest girl in the world, remember that. A childhood without books – that would be no childhood. That would be like being shut out from the enchanted place where you can go and find the rarest kind of joy. I have never experienced being madly in love the way most people seem to have been, although it is not something I would miss. Instead I have had an enormous ability to love my children and my grandchildren and my great grandchildren. Mankind is preoccupied with two great things: death and love; these catch the interest of all ages. You shouldn’t scare children to the point of anxiety, but just like adults they need to be moved by art. ‘I don’t think you have a very nice way with ladies,’ said Pippi. And she lifted him in her strong arms — high in the air — and carried him to a birch tree and hung him over a branch. Then she took the next boy and hung him over another branch. "But who tells you to go to bed at night and things like that?" asked Annika. "I do," said Pippi. "First I tell myself once very nicely and if I don't obey, then I tell myself again, very sternly, and if I still don't obey, then it's time for a spanking, of course." The girl hurried away, but then Pippi shouted, "Did he have big ears that reached way down to his shoulders?" "I have never seen anyone who walks with his ears," said Pippi. "All the people I know walk with their feet. 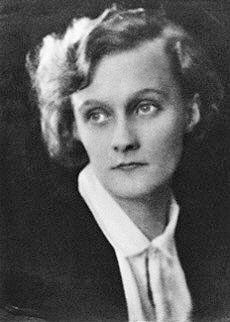 Astrid Lindgren was a influential Swedish writer, whose works of fiction became world-wide famous. 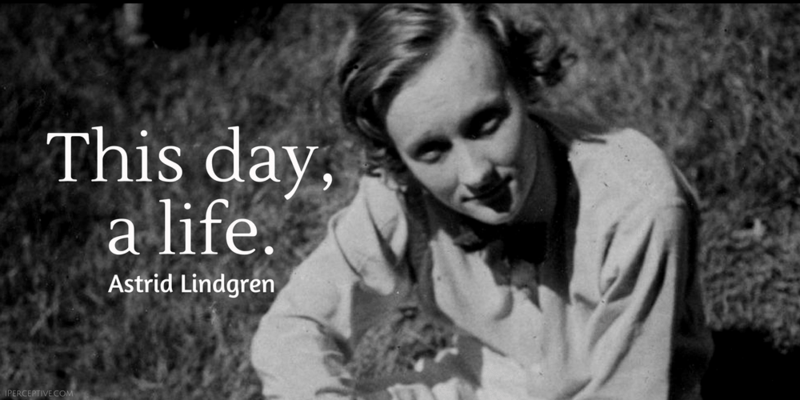 She mostly wrote in fantasy and is best remembered for her characters such as Pippi Longstocking, Ronja Rövardotter, Emil.